« Dogwater Studios is Moving! No episode this week – Rev. Rory and Nick caught the creepin’ crud while backstage at the Tooth of Crime this weekend. Meanwhile, Rick is still getting the new studio dialed in so he wasn’t too dismayed by the extra week off. 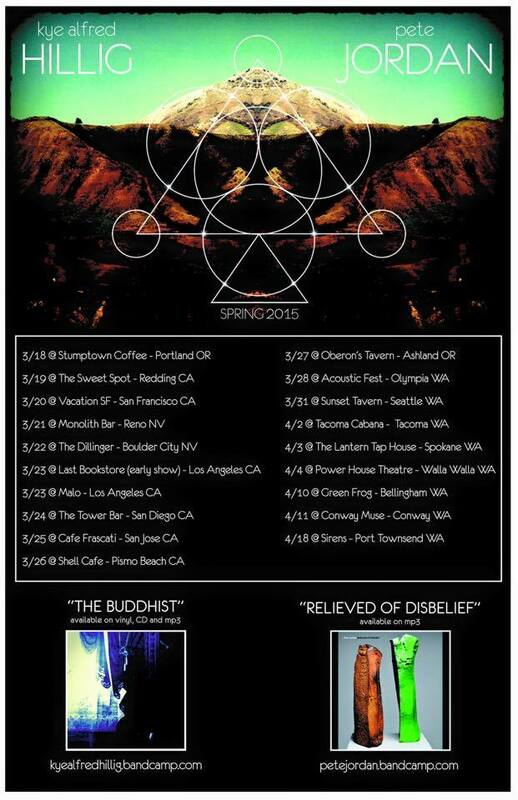 Unfortunately we missed getting to talk with our Reno friends, Infecto Skeletons, and also Tacoma-area musician and friend of the show, Kye Alfred Hillig, who is back on tour this spring. Kye is a fantastic musician and hell of a guy to hang out with. And I’m super bummed to have missed him! Catch Kye Alfred Hillig out at Monolith Bar this Saturday night with Paul Jordan. Our other guests this week were supposed to be Infecto Skeletons, a Reno punk rock legend in the making. The Infectos have a couple of really big shows coming up that they wanted us to let you know about. 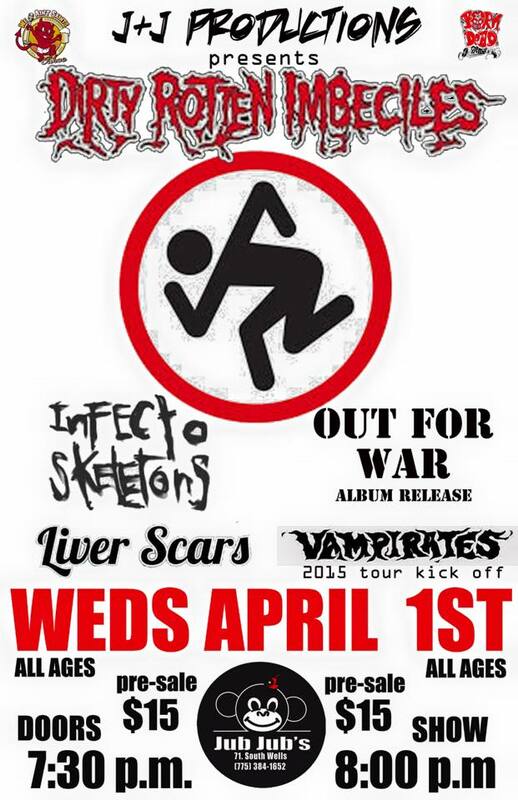 First, on April First (no joke), the Infectos, along with Out For War, The Liver Scars and The Vampirates will be opening for the the truly legendary D.R.I. at Jub Jub’s Thirst Parlor. This is going to be an insane show! You better be there! 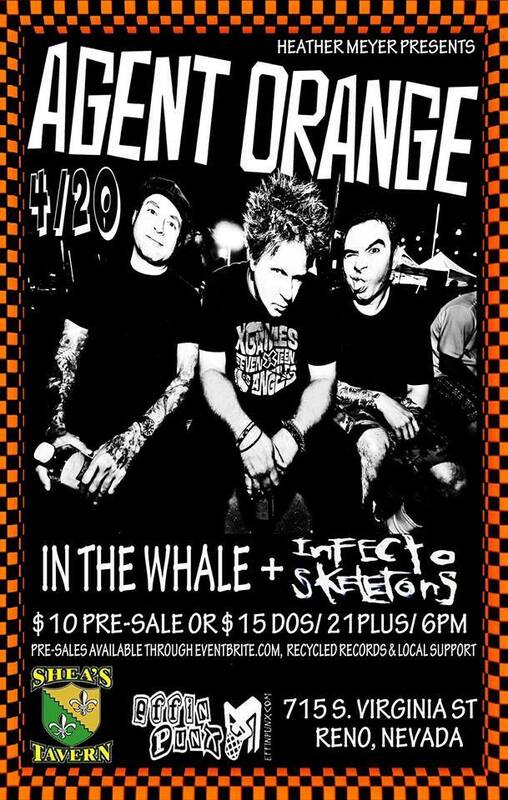 Then, later in the month, on every slacker’s favorite holiday, 4/20, Infecto Skeletons get the chance to play with Denver’s In The Whale and SoCal’s own skate punk pioneers, Agent Orange at Shea’s Tavern. Some truly earth shattering punk rock happenin’ in the RNO. Also don’t forget that this is your last weekend to go see Sam Shepard’s “Tooth of Crime: Second Dance” at Jub Jub’s featuring Nick and Reverend Rory along with Kevin long, John Lutz, Jill Marlene, Scott Dundas, The Vampirates and Jeff Done and starring Lew Zaumeyer and Andy Luna, and directed by Dave Richards.